$625 includes a light breakfast, full lunch and beverages. If you register before March 14, use Promo Code “EarlyBird” and save $100 per person. Group discounts are available for 4 or more people. Several contemporary surveys cite thousands of employees reporting a whopping 70% of their workplace engagement rides on the relationship with their direct supervisor. Engaged employees = Productive employees. 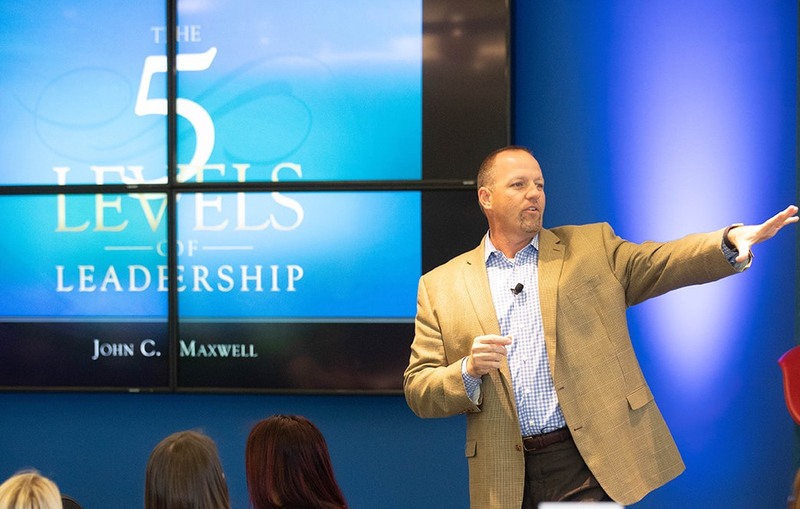 According to our founder, John C. Maxwell, “Everything rises and falls on LEADERSHIP.” In other words, your bottom line depends on the effectiveness of your leaders. So, what’s the best way to increase the effectiveness of your leaders? Infuses a basic leadership language the entire organization can speak and understand. Quickly shifts the culture from positional and title-driven to relational and influence-driven. Develops a framework for consistently reproducing leaders.